As someone who does something related to the technical arts in church nearly every weekend, I occasionally find myself questioning my career choice. Because of the nature of my job(s), I am often working at least part of the day 7 days a week. It can get to be a grind sometimes if you want to know the truth. But then, once in a while, God reveals again why it is I do what I do. 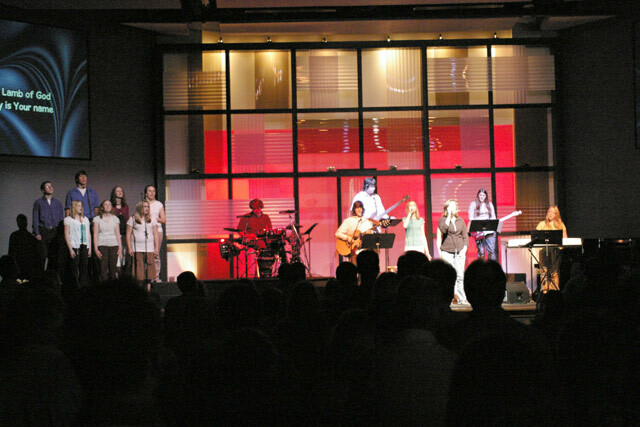 This weekend was Youth Weekend, an annual event where our student ministry leads all three of our worship services. Because I am also the student ministry media director, I have gotten to know our students, and have enjoyed working along side them during the year. The great thing about our student ministry is that it's completely student led. 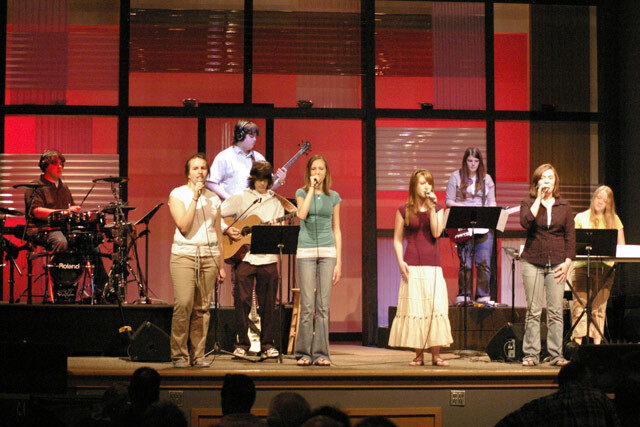 We have student worship teams that lead worship and pray, students do the announcements and direct the teaching. This weekend when that group of 15 students, ranging in age from 13-19, stood on stage and led the whole Body of Christ into worship, it was simply amazing. Even though I was quite busy mixing (and ending up with a sound that was every bit on par with our adult bands, I might add...), there were several times when I was almost overcome with emotion. In some ways, when one is at all involved with youth ministry, the students start to become your kids. In this case, one of the students was my kid, my 14 year-old daughter. To see her up on stage leading hundreds of people in the worship of our King was breathtaking. How cool is it that I get to be part of that? What was so powerful about the weekend was not just the talent the students displayed (which was considerable), but the heart with which they worshiped. They were so authentic, so real and so genuine. What impressed me is that when we as a church invest in the lives of those in our care, God does amazing things. And because God has, in His providence, chosen to allow me to be part of that, what I do makes a difference. This weekend, through these students, God poured back into my life what I need to keep going. If you are involved with a technical ministry, I know it can get to be a burden sometimes. There are times when you don't feel appreciated, or significant. But know this – you are so important to God's plan. What you contribute is so worthwhile. Sometimes, it just takes a teenager to show us that. By the way, how cool is that set? Its a frame of 2x4's painted black, with translucent roofing material stapled to it. Some cheap clip lights with colored bulbs give it color. We have 3 different colors to chose from so it always matches the mood. Way cool! What Makes A Great Soundman?